Being nimble is not a trait most people are naturally gifted with. The art of balancing oneself gracefully is best seen in artists like tight rope walkers who have a perfect understanding of their own body weight and pressure. Great balancing acts are usually reserved for circuses or freak shows, but a lot of great balancing acts can also be seen in everyday life. This list features 10 of the best balancing acts by people and random objects. 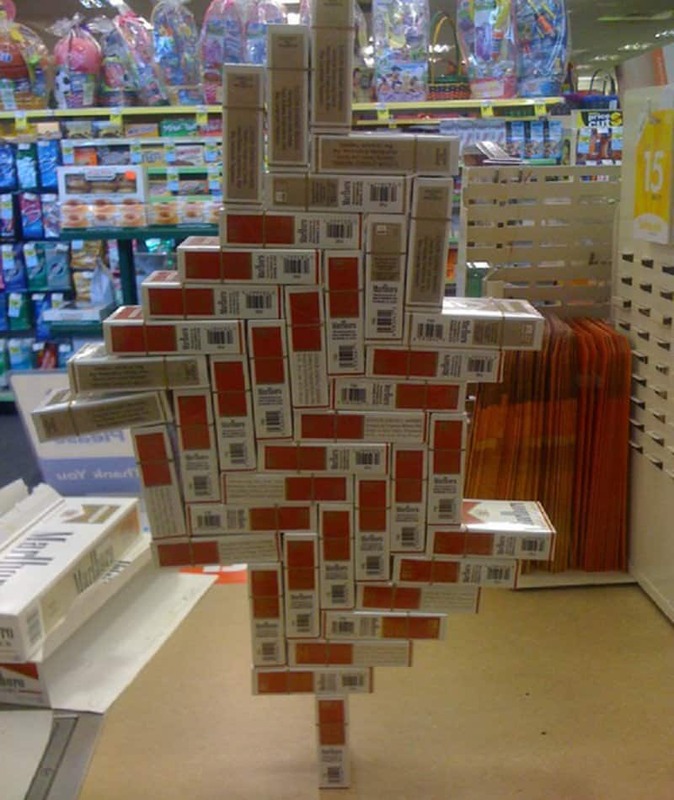 The entire stack of cigarettes are unbelievably being balanced on a single pack. 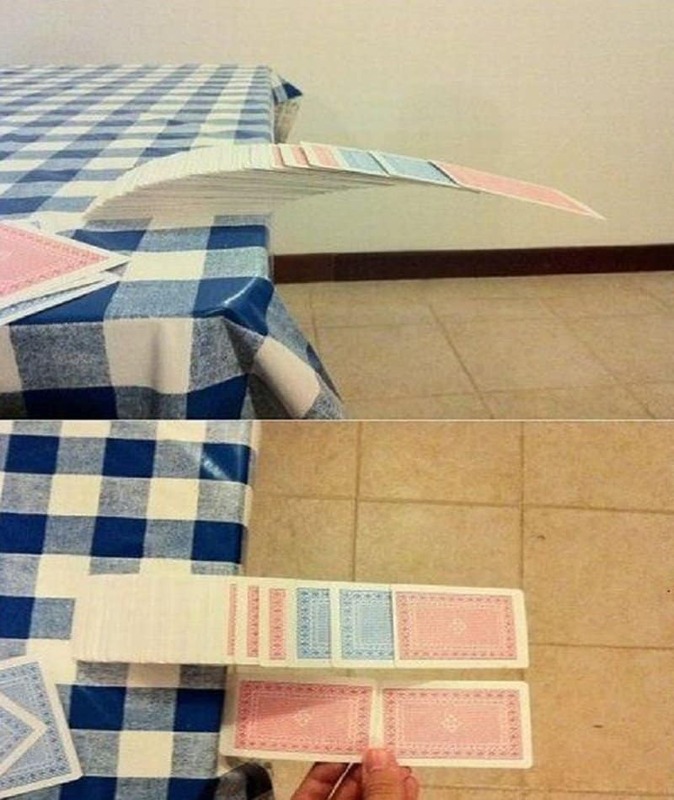 This deck has nearly slipped off the table, but barely manages to stay together in the end. 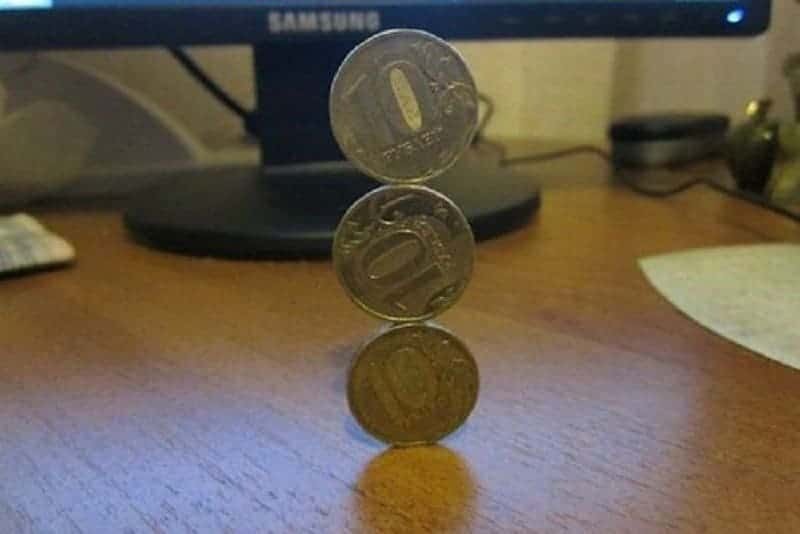 These three seemingly round coins have managed to stay on top of each other miraculously. 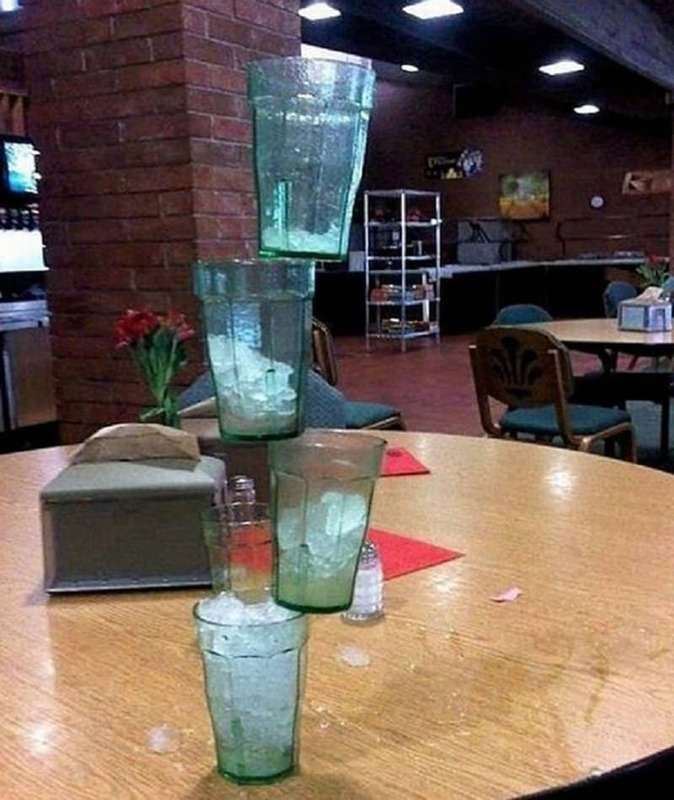 Whoever managed to balance these glasses on top of one another must be the best bartender in the world. 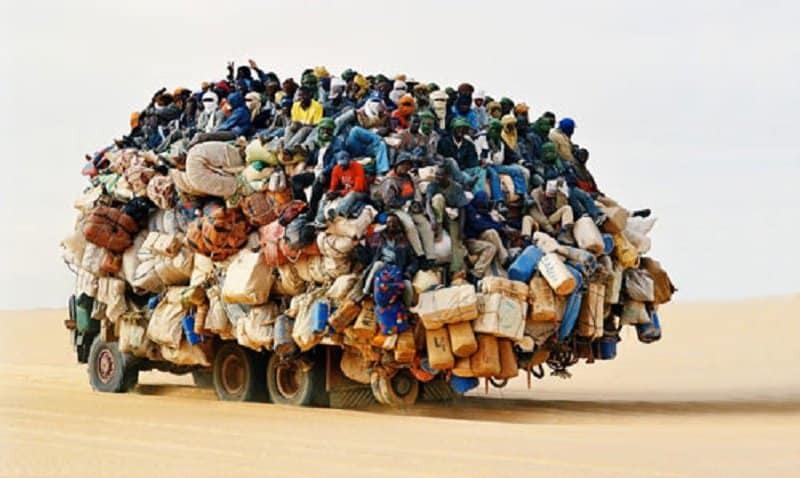 An abnormal number of people have managed to stay on top of this moving truck. 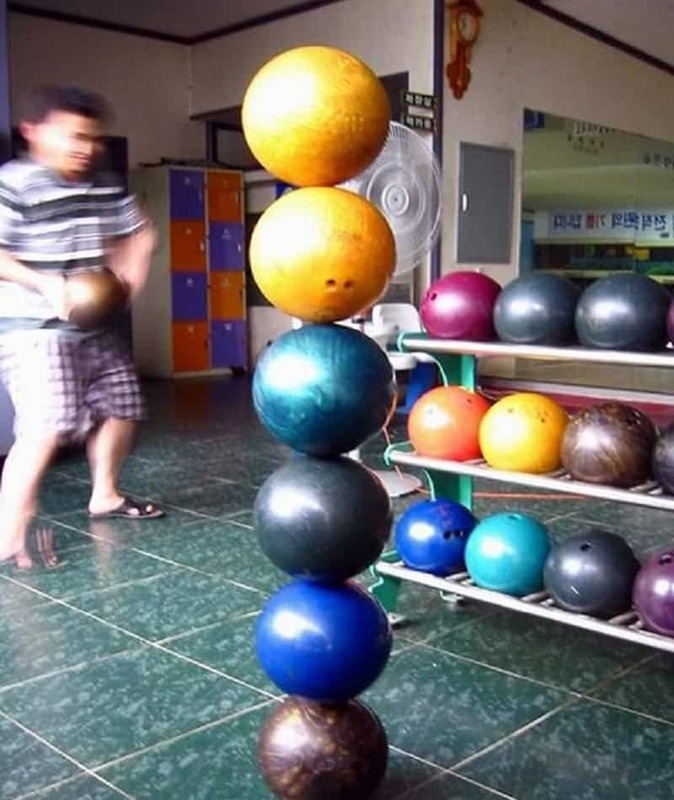 The fact that these bowling balls have stayed balanced is truly unbelievable. 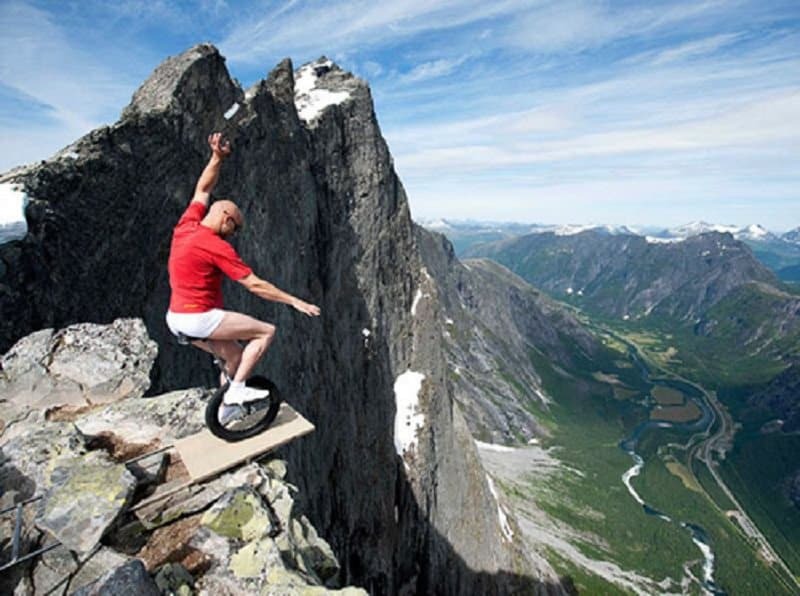 This person has a lot of confidence on his balancing act in order to stay on top of a unicycle at the edge of a cliff. 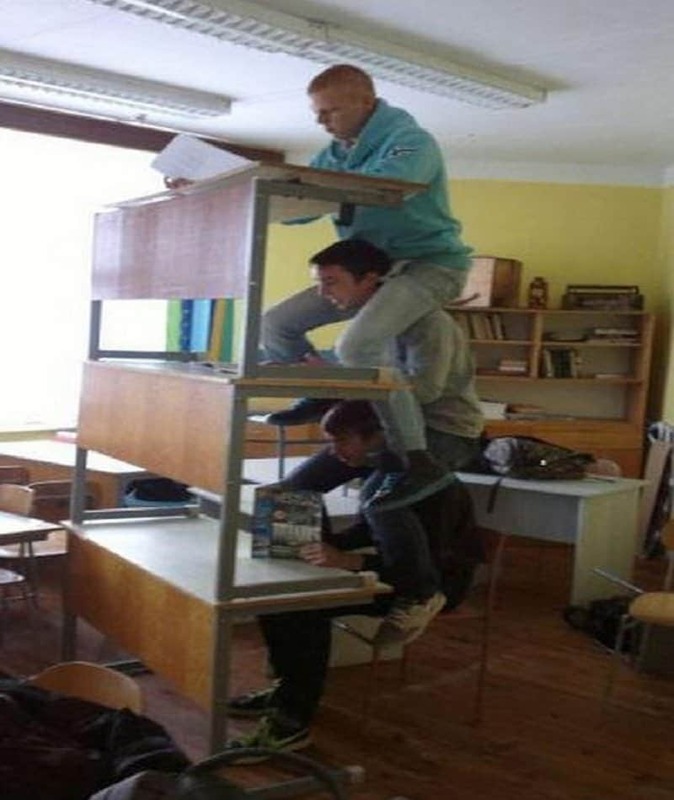 Studying together can make things easier and a lot more fun, but staying on top of each other while studying isn’t exactly necessary. 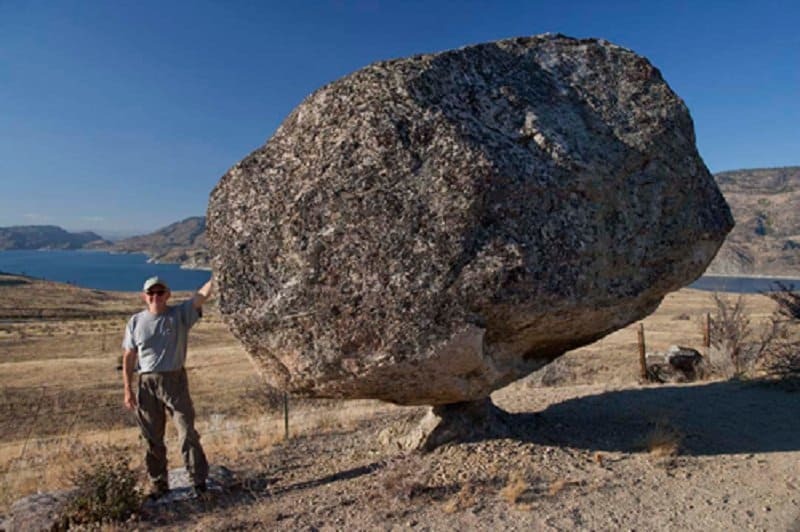 Erosion over the years has not managed to affect the balance of this giant boulder. 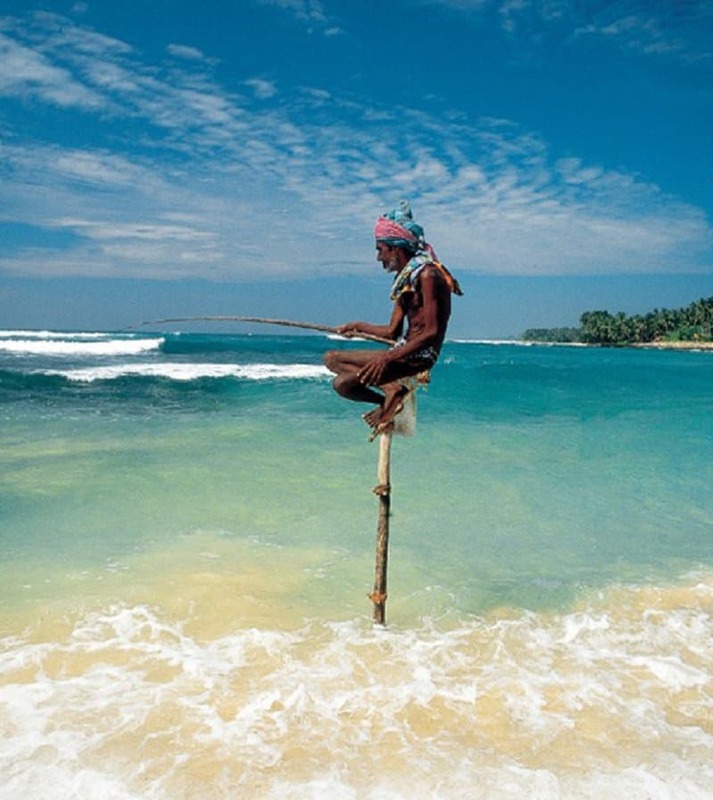 This man needs two specific sticks in order to fish in the most spectacular way possible.